601 Northeast 5th Street has a Walk Score of 49 out of 100. This location is a Car-Dependent neighborhood so most errands require a car. This location is in the Brookwood Village neighborhood in Blue Springs. Explore how far you can travel by car, bus, bike and foot from 601 Northeast 5th Street. 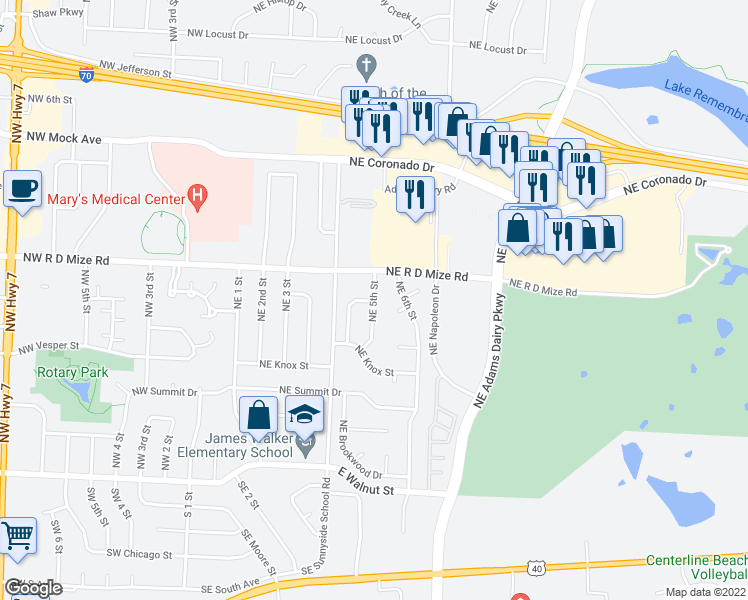 View all Brookwood Village apartments on a map. 121 NE Adams Dairy Pkwy. 481 NE Adams Dairy Pkwy. Search for homes in Blue Springs or find a Blue Springs real estate agent who knows walkable neighborhoods. Links will open on our partner site Redfin.com. 601 Northeast 5th Street is in the Brookwood Village neighborhood. Brookwood Village is the 5th most walkable neighborhood in Blue Springs with a neighborhood Walk Score of 38. 363 NE Adams Dairy Pkwy. 153 NE Adams Dairy Pkwy. 383 NE Adams Dairy Pkwy. 223 NE Adams Dairy Pkwy. 371 NE Adams Dairy Pkwy. Stupendous 4 bedroom, 3 bathroom home in Independence! Beautiful 3BD in Blue Springs! Fenced in backyard! Amazing 3BD/2BTH in Blue Springs School District!